If you have been seriously injured by the negligence of another party, you should speak to an attorney as soon as possible to discuss your legal options. The physical burden of a serious injury can be overwhelming. You may also be facing financial and emotional hardships because of the accident. When dealing with such a serious situation, it is important to know where to turn. Our firm has significant experience helping clients like you through tough times. You may be eligible for compensation for the emotional, physical, and financial impact of someone else’s negligence. For decades, Andrew S. Maze has proudly served clients in Edison and all of New Jersey who find themselves victims of negligence. 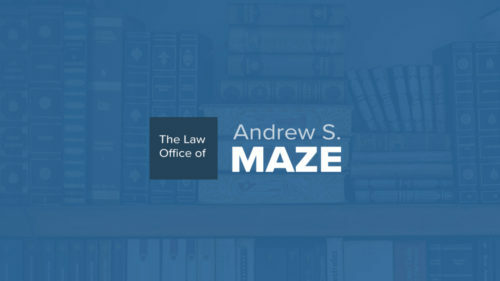 If you need an experienced legal team to guide you through this challenging time, contact the compassionate legal team at The Law Office of Andrew S. Maze today. Andrew S. Maze and his team of legal professionals are ready to advocate on your behalf. We recognize the impact of a serious injury and while you focus on recovery, we are dedicated to providing prompt, effective, and compassionate legal counsel to guide you through the worst situations. It can be stressful to deal with an injury. You don’t need to stress about your pick of attorney. Contact The Law Office of Andrew S. Maze.